October 23, 2017 — CHICAGO, IL — Although sandwiches first appeared in American cookbooks in 1916, the role they play in the U.S. diet has just been illuminated, ironically, at the centennial celebration for The Academy of Nutrition and Dietetics – the world’s largest organization of food and nutrition professionals. The results of a Building-A-Better Sandwich Study are being presented at the Academy’s 2017 Food Nutrition Conference & Expo (FNCE) in Chicago. The study, a modeling analysis, was conducted to assess the energy and nutrients contributed from all sandwiches in the U.S. diets of children and adolescents. It used government data from the National Health and Nutrition Examination Survey (NHANES) as well as USDA Typical Food Patterns to assess how Americans currently eat. The striking conclusion is that the ingredients inside the sandwich – not the bread itself – are the most significant drivers of calories, fat and sodium. “Moreover,” Papanikolaou continued, “Americans need to think twice before cutting bread from their diets. 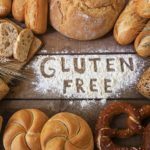 They pack more of a nutrient punch than a caloric one in adult diets.” Specifically, he was referring to another study published just last month in the journal, Nutrients, which shows that all grain foods contributed less than 15 percent of all calories in the total diet, while delivering greater than 20 percent of three shortfall nutrients – dietary fiber, folate, and iron – and greater than 10 percent of calcium, magnesium, and vitamin A. “These data show that grain foods are the foods we love that love us back – finally, we can enjoy bread again,” Papanikolaou concluded. The Building-A-Better Sandwich Study was funded by the Grain Foods Foundation. Papanikolaou will be presenting a poster of the study at FNCE this week. The study will be submitted to a scientific, peer-reviewed journal for publication. For more information about the research findings, and to learn more about grain foods’ role in a healthful diet, please visit www.GrainFoodsFoundation.org. Formed in 2004, Grain Foods Foundation (GFF) is a group of thought leaders and advocates for all grain foods and believes everybody needs grain food to enjoy a happy and healthy life. Committed to nutrition education programming that is firmly rooted in science, GFF is a strong advocate for our members and a resource for consumers and the media who want to learn more about the role of grains in a well-balanced eating pattern. GFF offers research-based information and resources to members, partners, influencers, policymakers and consumers through a comprehensive communications campaign, conferences, webinars, research tools, social media and more. GFF is committed to bringing fact-based information and common sense to the consumer. For more information, visit www.GrainFoodsFoundation.org. Nutritional Strategies is a scientific consulting firm that specializes in helping food and beverage companies develop and communicate science-based claims about their products and services. Nutritional Strategies also publishes evidence-based nutrition-related articles in the peer-reviewed literature every year.